Mr Michael O’Connell trained in London and was awarded scholarships to further his experience in France, Germany and America. This included a Fellowship from the European Academy of Facial Plastic Surgery. He commenced his consultant post in Brighton in 1998 as an Ear, Nose & Throat and Facial Plastic surgeon and now has more than fifteen years experience in the field of nose and ear reconstruction and cosmetic rhinoplasty and pinnaplasty. He lectures at National courses on Rhinoplasty and trains surgeons in this specialist field. Mr Michael O’Connell attends national and international centres to further his specialist knowledge in this rapidly expanding field and is keen to embrace new ideas and techniques. He specialises in providing “natural-looking” noses and is meticulous in his preparation prior to surgery. He will listen to your concerns in an open, relaxed and confidential setting and can provide computer-generated images of how surgery will improve your nose. His background as a nose surgeon provides the expertise and experience to manage the whole of the nose, allowing him to provide a better and long-lasting improvement. Michael O Connell lives in Brighton and enjoys city life. He is a keen family man and is adjusting to the recent arrival of twins. His cultural interests include theatre, cinema, art and music. Sporting pastimes involve skiing, running, swimming, and cycling. Michael O Connell has published widely and pursued original research. His thesis on antibiotic toxicity and the ear was awarded the Otology prize by the Royal Society of Medicine. Other papers are on facial plastic topics, rhinoplasty and he has also translated research works from German to English. Recently he has written the NHS website guidance on ear reshaping and pinnaplasty. 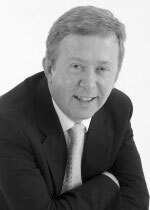 Mr Michael O'Connell is the Medical Advisory Committee Chair for Nuffield Health Haywards Heath Hospital. No remuneration is paid for this role, however use of medical secretary services, administrative accommodation and consulting room used in connection with it are not charged for. Services used in connection with the provision of Mr Michael O'Connell's private practice are charged at market rates. Mr Michael O’Connell does not have a share or financial interest in equipment used at this hospital or another Nuffield Health hospital. Mr Michael O’Connell does not hold any paid advisory role(s) at this hospital or on behalf of Nuffield Health.